A probiotic formulated with 25+ billion CFUs per capsule, used to support optimal gastrointestinal flora. A probiotic formulated with 100+ billion CFUs per 1/4 teaspoon, used to support optimal gastrointestinal flora. Adults, Adolescents, and Children (1 year old and older): 1/4 teaspoon (1 gram) 1 time per day. A probiotic blend used to support gut health during antibiotic therapy. 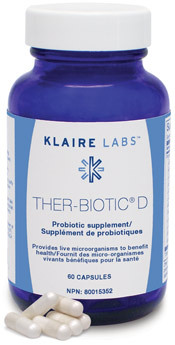 A probiotic formulated with 50+ billion CFUs per capsule, used to support optimal gastrointestinal flora and compliment detoxification protocols.